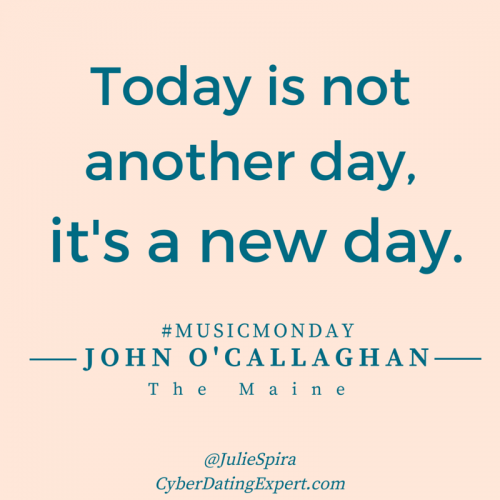 Julie Spira is America’s Top Online Dating Expert and Mobile Dating Expert. She was an early adopter of online dating and as a celebrity dating coach, has been helping singles on finding love online for over two decades with her Irresistible Profiles coaching programs. 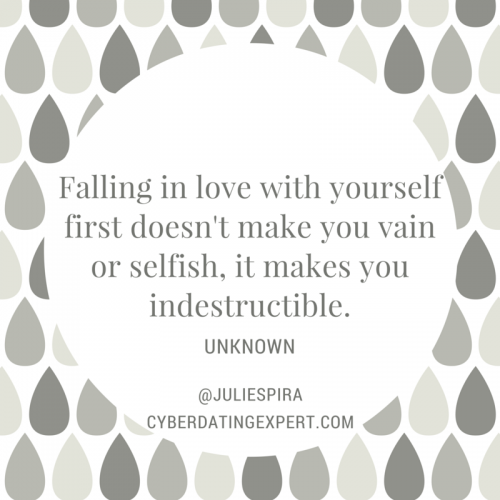 Julie’s the author of the bestseller, The Perils of Cyber-Dating: Confessions of a Hopeful Romantic Looking for Love Online . 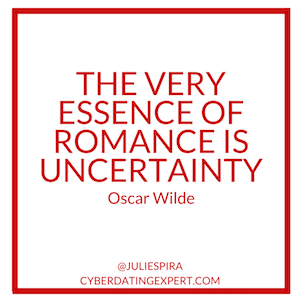 For dating advice, like us at Facebook.com/CyberDatingExpert and follow @JulieSpira on Twitter. Interested in improving your odds on Bumble or Tinder? Check out SwipingRight to help you find your dream date. 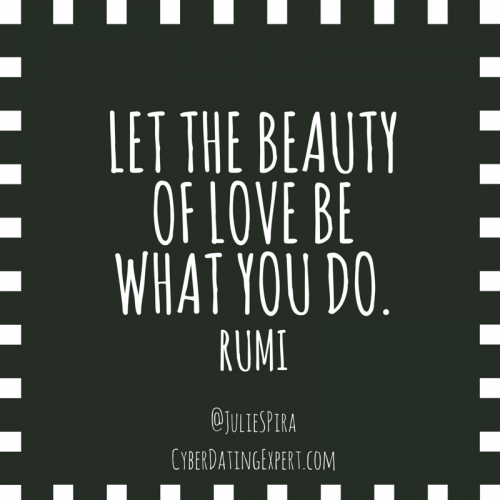 Follow Dating Expert @JulieSpira on Twitter, Instagram, and Facebook. Sign up for the FREE Weekly Flirt newsletter for online dating and relationship advice. The beginning of romance is exciting. Going on a first date can be nerve-wracking, as you aren’t sure if you’ll get to a second date or have any romantic chemistry. Oscar Wilde knew this years before digital dating, texting, and mobile phones, yet the feelings still hold true. Be open to the possibilities while dating and let the anticipation be something to embrace. Follow @JulieSpira on Twitter, Instagram, and Facebook.